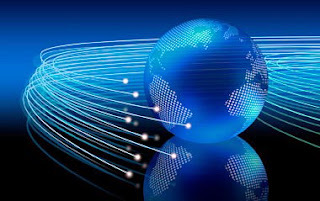 Tripura is all set to emerge as India's 3rd internet gateway after commissioning of the submarine cable connectivity through Cox Bazar Cable Landing Station in Bangladesh. Tripura is all set to emerge as India’s 3rd internet gateway after commissioning of the submarine cable connectivity through Cox Bazar Cable Landing Station in Bangladesh. Union Communication and IT minister Ravi Shankar Prasad was in Agartala recently to lay the foundation stone for the same in the presence of Tripura Chief Minister Manik Sarkar, Governor Tathagata Roy and top BSNL officials. The agreement for leasing of international bandwidth for internet at Akhaura between BSCCL and BSNL was signed by Prime Minister Narendra Modi and his Bangladeshi counterpart Sheikh Hasina during his visit to Bangladesh in June. Currently, India’s international internet bandwidth connectivity is at two places – Mumbai and Chennai. With the opening of the 10G link through Akhaura, the network in Tripura will be as good as any metro city. “Our Prime Minister Narendra Modi very clearly feels that the development of India will remain incomplete if the eastern and northeastern part of India does not develop. It is a matter of commitment for us. For the entire northeastern region we have prepared a package of Rs 5,000 crores for mobile and telephone connectivity that has been duly approved by the cabinet. Therefore, improvement of the northeast is very much important for us,” Prasad said after laying the foundation stone. Tripura Chief Minister Manik Sarkar also highlighted the importance of tele-connectivity for the Northeast.”There is dearth of infrastructure without which we cannot tap all those resources available in the Northeast. And the most important infrastructure is connectivity and in regards to this, aside from road, rail, and air connectivity, tele connectivity is most important which brings the world to our palms. Thereby importance of tele-connectivity is unquestionable,” he said. The government will spend 19.14 crore Rupees to create the infrastructure, including the laying of optical fibers. Rupees 8 crore per year will be given as rental fee to Bangladesh Submarine Cable Company Limited (BSCCL) to avail the service. At present, the Northeast region gets internet connectivity through Mumbai and Chennai and the long distance and difficult terrain creates many problems. With this new development, people in Tripura as well as neighboring Northeastern states will have access to high-speed, uninterrupted internet service with large bandwidth. “The coming up of the gateway will increase the speed (of internet) since we are closer to Bangladesh. This is great news for the remote Northeast as we are going to connect with entire globe,” stated Sitangshu Dey,a local. As a part of the government’s vision to digitalize India, there are also plans to revive the postal network and provide services like ATMs, e-commerce and core banking through post offices. The Union Minister opened the core banking services at the Agartala head post office and said that post offices will play an important role in digital India programme, especially in rural areas. He also laid the foundation stone for Dimapur head post office, inaugurated the postal shopping site for the region and distributed prizes among various postmasters for their services. “We have already applied and we hope that by August, the Reserve Bank of India will approve the payment banking permission. Once it happens and the entire infrastructure is complete, you can understand how much power you will have in all the branches of postal department in banking transaction and payments. Digital India is designed to change India, to empower India, to bridge the gap between digital haves and have-Nots,” Prasad revealed. The government is keen to expand digital connectivity in the landlocked Northeast region which will give the people access to varied services over the internet and make their lives easier.